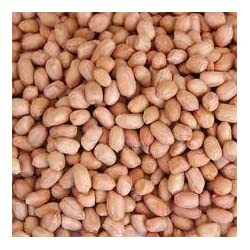 Please note these type products can get crushed and damaged in transit despite the fact that we try our best to pack them and send them out via our Parcel agents. If you don’t seem to be happy about this because this can happen, please do not purchase them. Some customers are ok about this despite the fact that they get damaged as the birds eat every little bit up if put out on the bird table for eg, so at the end of the day you the customer do not lose out on what you have paid us. You must agree to this by email after you have purchased them via the Amazon system so we know you are ok about this and we will then despatch the goods. 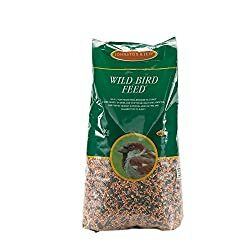 Pet Supply Uk Standard Fat Balls for wild birds are made to appeal to a wide range of garden birds and to provide them with a concentrated and handy source of energy. 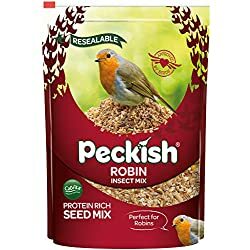 They are manufactured from a range of locally sourced wheat, beef fat, corn and calcium specially selected to ensure your wild birds can obtain a high energy food source right through the year. In Winter wild birds can swiftly starve if natural food sources transform unavailable or scarce, in Spring and early Summer the demands of breeding and raising young place a great burden on adult birds, and all the way through Autumn many wild birds shed their feathers, or moult, and this requires large amounts of energy. 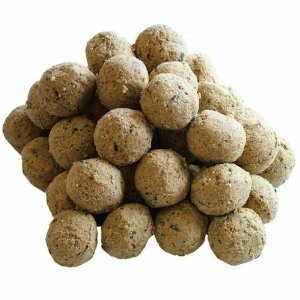 We suggest you place these fat balls in a specialist feeder and hang from a convenient branch, bird table or feeding station where you’ll observe a range of wild birds feeding safely. 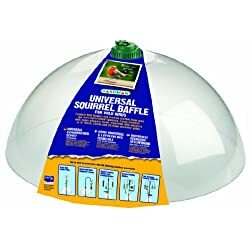 Then again you might try placing them whole or broken up directly on the ground or on bird tables or added to other foods for an added energy boost.